Cleaning tile flooring seems like an easy task but as you go about doing so there seems to be some trouble throughout the years. There just seems to be a buildup of dirt that makes the grout lines dark black or brown even though you’ve been cleaning it for years. When you first installed the grout lines the color was a beautiful antique white but now you can’t even tell besides the few places you have a mat on the floor. So why is it when you’re cleaning that it only seems to make it worse? Grout Restoration Works is your leading tile cleaning professionals and we’ll let you in on a couple of secrets. When you use a traditional mop head and water bucket there isn’t much cleaning going on. This is just a nice way of moving the dirt around on the tile and grout surface. When this happens typically we don’t go back and wipe up the water, we let it air dry. When the water isn’t dried up it generally means that the dirt water dries forming a layer, never really getting the dirt up off the floor. As you clean it the same way repeatedly you are just forming a thicker and thicker layer of dirt making that grout line becoming darker and darker. The grout lines are darker than the tile face because when you mop over them the water hits the edge of it and sit in the grout line. This would then be the wrong way to clean tile and grout. What about the right way? The best way to keep your tile clean is to do a good scrub down. Yes, that means getting hot water, a brush with plastic bristles and scrub away making sure to take a rag to wipe up the dirty water because then you’ll just allow a film to dry over it. This is a large task if you have a lot of tile. Making sure to do it a couple times a year will keep it looking good and in healthy condition. If you mop your floor there is nothing wrong with that, its just key to dry it with a towel so that a film layer of dirt doesn’t dry over the tile and grout. Once a year at the very least you should always have your tile resealed. This acts as a barrier to keep stains, dirt, and water from penetrating the grout. It will help to make cleaning easier with trying to get dirt off the grout. If you have ceramic tile with rivets, then it’s important that you also scrub the tile face because dirt gets stuck in those areas of the tile. It doesn’t seem like it would, and you don’t notice it until you’ve scrubbed away at one tile. Scrubbing away at your tile and grout doesn’t sound too appealing to anyone. If you’re not wanting to spend the time or effort in doing so, then call the professionals today. 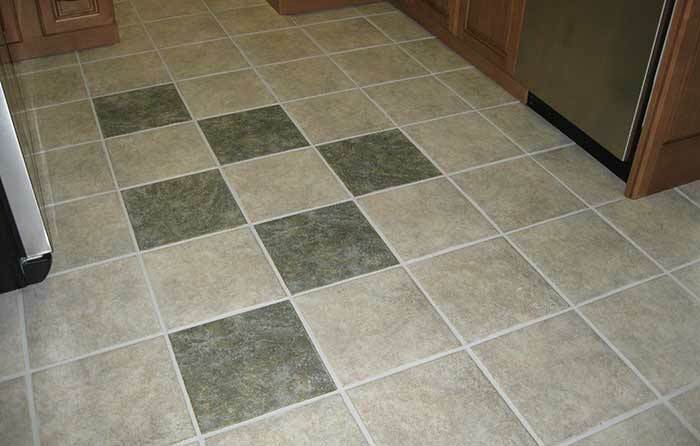 We will make sure your tile and grout is as beautiful as the day it was installed. With our green technology that uses hot steam and the perfect bristled brush to lift up all the dirt that sticks to the tile and grout. Call us today for a free home estimate!